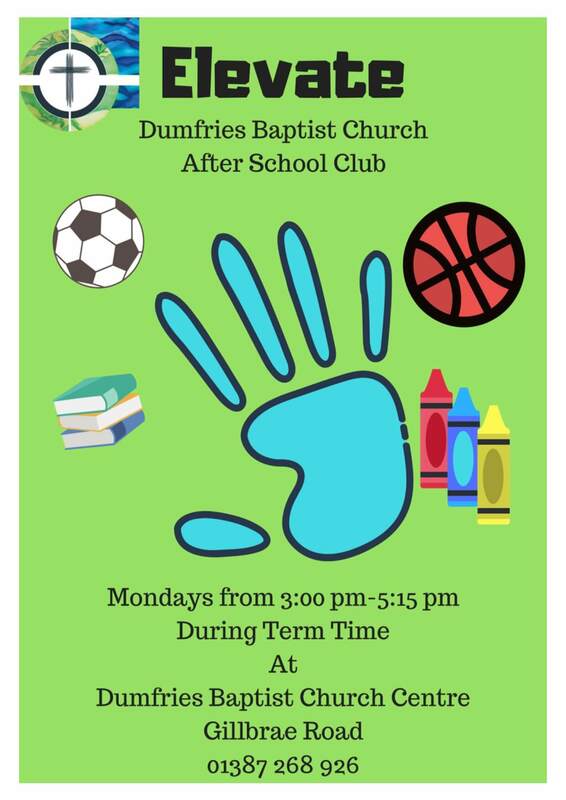 We have lot's of activities throughout the week for children, youth, families, adults and seniors. Please browse the calendar for upcoming events or scroll down to see some of the activities on offer. All are welcome to join in. We provide a supervised crèche area with a variety of toys for children under three each Sunday morning. This runs from the time that the children leave for their activities following the all age worship time, until the end of the service. There is also a fenced off area with some toys in The Avenue just outside the Main Auditorium which parents with young children are able to use at any point during the service if they wish. This area has a screen and sound which allows those supervising their own children to still hear and participate in the service. We have groups for children from 3 to 11years which meet during the morning service. We worship with the whole church family for the first 20 minutes, then meet in age-specific groups to have fun and learn about God together through Bible stories, games and activities. Who are we? We are a Church based group, the toddlers being just one of the many meetings that take place in the church. We have a children's Christmas party and also an adults' Christmas and Summer night out. There is a no waiting list to join Toddlers and no fee to pay. All we ask is that you pay £1.50 each group to cover costs. A fun place to come immediately after school for primary school children. We can arrange to pick up younger children from Georgetown Primary school. 4.30pm - 5.00pm Craft projects. Girlzone is an activity and craft group for all primary age girls (4-12 years). They meet on Wednesdays from 6 – 7.15pm during term time. Impact is a midweek club for primary age children. Thursday evenings from 6pm to 7:15pm during term-time. Games, crafts, singing, learning about Jesus and refreshments. 50p per family. Browse below the wide range of activities for Seniors, adults and families. All are welcome to join in. We encourage everyone who comes to our church to join one of the many small groups which meet regularly in homes around the town. The groups meet on a variety of evenings or some during the day. 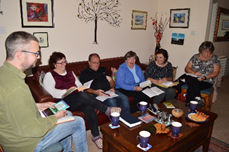 The small groups aim to pastorally care for one another, getting to know each other as they spend time together so that no-one feels ‘lost in the crowd’ of a large congregation. The groups also pray for and with one another, to worship together, to actively explore biblical teaching together, and to find creative ways to share their faith with others. For more information, and to find a group near you, please contact the church office. Especially suitable for older folks, this meeting takes place fortnightly on first and third Thursdays, 2-3pm in the Dumfries Baptist Church Centre. It includes music, a variety of inspiring speakers, and delicious home baking with a cup of tea to enjoy. Encore! is a Seniors lunch club that meets monthly, usually on the 4th Wednesday, from 11am – 2pm September to May. There are a range of active and quieter activities from 11am – 12.30pm, a 10 minute ‘Thought for the day’, followed by a freshly made soup and pudding lunch at 12.45pm. Download the Encore! leaflet or pick one up from the Church Centre. Dumfries Baptist Church has a choir which performs occasionally at Church services throughout the year, especially at Christmas and Easter. If you would like to come and join the choir then please speak to Jean Lamb. To make contact with the choir please contact the DBC office. Flourish aims to provide opportunities for women to meet together to encourage each other, to grow in faith and to reach out to the community around us. Activities include: craft nights, walks, meals together, film/quiz nights, coffee mornings, prayer and fellowship. All ladies are welcome. A place to share, show photos, inspire and encourage. All welcome, no experience necessary. We hope to be able to share tips and learn from others in the quest for better results. If this interests you come along for chat, coffee and cake. Join us for watering, weeding, planting & mowing. No special expertise required, just a desire to keep the DBCC grounds looking lovely! The Man Alive! Group is open to any men associated with DBC, their friends and also to any men in the local community. The purpose of the group is to bring men in the church and community together for friendship and fellowship with each other. It’s not the notes ‘U’ sing, it’s the fun and friendship ‘U’ get from singing them with others. Join us for a fun singing group on the second and fourth Friday at DBCC from 2.00pm-3.15pm. A group for people in their 20s and 30s. We have a small group that meets fortnightly and various events that happen around once a month to allow us to get to know each other better, have fun and support and encourage each other. There is a Facebook page to keep us up to date with what is happening - if you're interested and would like more information, pick up a leaflet from the Church centre. We hope to see you there!